Downing Street has notified its press officers of new roles up for grabs following the recent comms restructure. Number 10/Cabinet Office director of policy comms Jenny Grey and the Prime Minister’s official spokesman Steve Field wrote to colleagues this week ‘to confirm we have concluded the internal stage of our change programme’. PRWeek reported at the start of the year that Andy Coulson had helped push through a radical restructure of the Downing Street comms operation just days before his resignation as comms director (PR Week, 27 January). 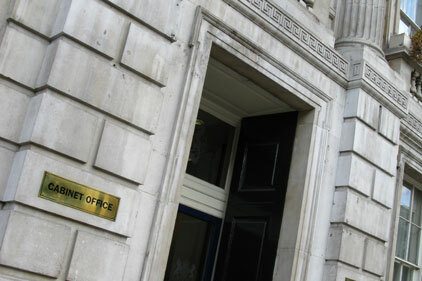 The new structure has seen the merger of Number 10 and Cabinet Office comms units, resulting in seven different teams comprised mainly of civil service comms staff. The memo states that ‘there are a large number of vacancies’ in the new teams, adding that they will be advertised across Whitehall. It is understood that all of the vacant posts are civil service roles. The memo also states that ‘some colleagues have not been placed into a role’ as yet. PRWeek has also seen organograms showing how the new teams are shaping up. In the 'News and Prime Minister's press office' team, the top two posts are already occupied by Field and his deputy Vickie Sheriff. Six posts remain vacant, including two chief press officer roles - one covering domestic policy and another covering regional and specialist media. In the Deputy Prime Minister's new eleven-strong comms team - which also encompasses comms around political reform - the top post of deputy director has already been taken by James Sorene, who was appointed earlier this year from the Department for Health. Five other comms posts in Nick Clegg's new-look team have also been filled, but a further six remain vacant. As previously reported, a new cross-government campaigns unit is to be overseen by Michael Warren, who joins from being deputy director for government comms. All seven other posts in this unit are currently vacant. There are also six vacant posts in the nine-strong digital comms team, headed by Rishi Saha, a former Conservative HQ staffer who was made a civil servant by David Cameron last year. The efficiency and reform team is still seeking a head of comms, two comms managers and five additional comms staff. A further three posts are vacant in the PM's events and visits team. 'There are a large number of vacancies. This is mainly as a result of the fact we have not been filling vacancies for over a year in many cases as well as the number of staff who left through the voluntary departure scheme. 'When advertised, the posts will be available on promotion and additionally the Approvals Board has agreed that we will advertise these vacant roles across Whitehall on both a permanent and loan basis in order to secure the best possible field. 'Given the Cabinet Office policy is to recruit on a loan basis only, the Board was keen that we should see this approval to recruit to all of our vacancies as recognition of the vital roles that you all play in supporting the work of the Cabinet Office and No 10. For three posts we were given approval to recruit externally because the specialist skills are in short supply in the civil service. 'Finally, some colleagues have not been placed into a role as a result of this change programme. We will be working hard with them to secure them an alternative position through the brokerage process. 'Work now continues to complete the remaining stages of the change programme: in particular, finalising budgets and making plans for accommodation.